Synopsis (from Amazon): Laurel Gray Hawthorne needs to make things pretty, whether she's helping her mother make sure the literal family skeleton stays in the closet or turning scraps of fabric into nationally acclaimed art quilts. Her estranged sister Thalia, an impoverished Actress with a capital A, is her polar opposite, priding herself on exposing the lurid truth lurking behind middle class niceties. While Laurel's life seems neatly on track--a passionate marriage, a treasured daughter, and a lovely home in suburban Victorianna--everything she holds dear is suddenly thrown into question the night she is visited by the ghost of a her 13-year old neighbor Molly Dufresne. The ghost leads Laurel to the real Molly floating lifelessly in the Hawthorne's backyard pool. 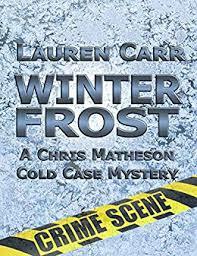 Molly's death is inexplicable--an unseemly mystery Laurel knows no one in her whitewashed neighborhood is up to solving. Only her wayward, unpredictable sister is right for the task, but calling in a favor from Thalia is like walking straight into a frying pan protected only by Crisco. Enlisting Thalia's help, Laurel sets out on a life-altering journey that triggers startling revelations about her family's guarded past, the true state of her marriage, and the girl who stopped swimming. 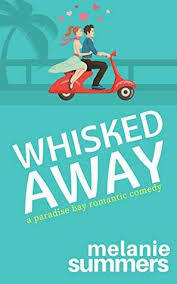 Richer and more rewarding than any story Joshilyn Jackson has yet written, yet still packed with Jackson's trademarked outrageous characters, sparkling dialogue, and defiantly twisting plotting, THE GIRL WHO STOPPED SWIMMING is destined both to delight Jackson's loyal fans and capture a whole new audience. One (or more) Sentence Summary: Woooo…what a twisted plot. I really enjoyed The Girl Who Stopped Swimming! The book kept me on my toes. There is lots of family past, drama, dysfunctional relationships that leaves you wanting more. Through all the ups, downs, sideways turns of the book, the mystery is solved. Favorite Character(s): Thaila…..the improvised actress who doesn't hold back any punches. Setting: In the South, I don't remember exactly where though. 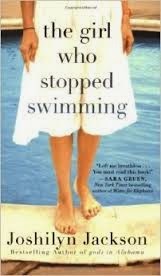 Fast read/slow read: I listened to The Girl Who Stopped Swimming - I got the CDs from my local library. It was a fast listen! What Others Are Saying: "...a great tale [that] builds to an exciting and violent ending, one that surprises and yet seems to fit." "... buoyant and moving ....beautifully balanced between magical and realist fiction... closer in tone and voice to Alice Sebold's 'The Lovely Bones' or Richard Ford's Frank Bascombe trilogy." "A ghost story, family psychodrama, and murder mystery all in one. Jackson's latest is a wild, smartly calibrated achievement. A-." Would I Read Other Books by the Author: Yes, I have several of Joshilyn's books on my phone to listen too! Joshilyn Jackson is the New York Times Bestselling author of six novels, most recently Someone Else's Love Story. Her short novella, My Own Miraculous, is a prequel to her latest title, and is available as an e-book and an audio download. I enjoyed this one a bunch too. Great review!